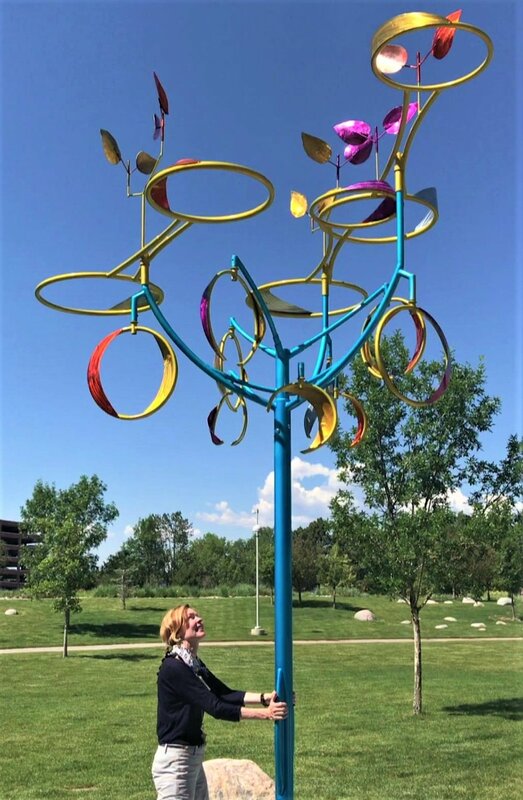 This sculpture of bird wings turning overhead perches on a curved tower centering the sculpture above the walking trail. 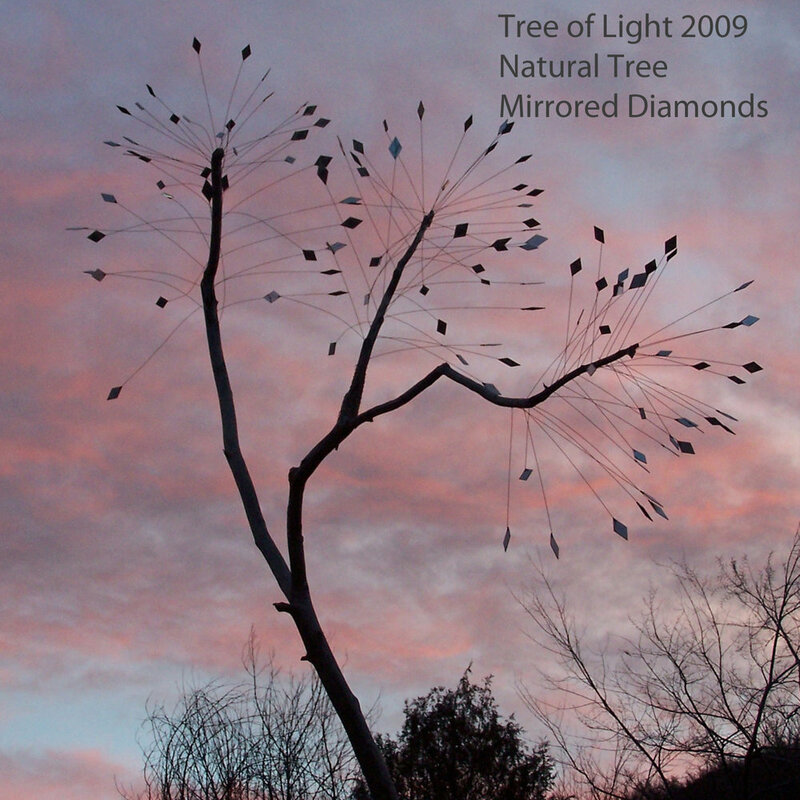 Hikers can stand directly below the sculpture and look up at the calligraphy of swooping wings against the sky. 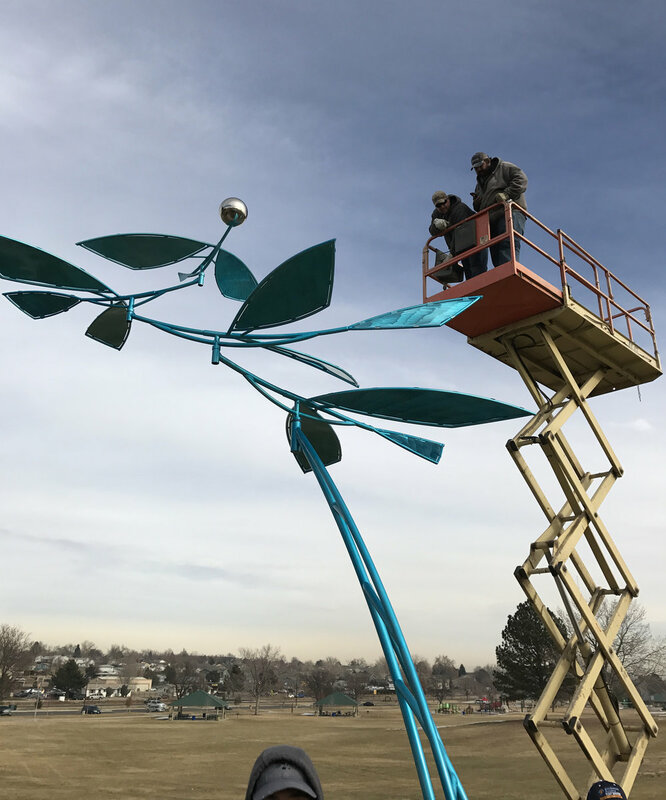 "Taking Wing" -2016- A wind sculpture on the theme of learning to fly greets students at the Main Entry to the Denver Public Schools highrise on Lincoln St. in downtown Denver.